If a young man wants to engage in a business that will insure him in middle life the greatest amount of leisure time, there is nothing more sure than farming. If he has an independent turn of mind, let him be a farmer. If he wants to engage in a healthy occupation, let him till the land. In short, if he would be independent, let him get a spot of ground. Keep him within his means—to shun the lawyers—improve the soil so as to leave the world better than we found it—and if he cannot live happily and die content, there is no hope for him. The quality of love is exactly like love in God—in element, not in quality! A taper is big enough to tell you what light is, but not what the whole history and power of light is. School district residents shouldn’t have to pay for development of a city park, the Watertown Unified Board of Education said Wednesday night. The board instead decided to use almost a quarter million dollars from the sale of the old Watertown High School to build rest rooms and possibly a storage area near Landsverk Stadium. The board voted 8-1 to support that plan, with member Paul Lange in opposition. While Lange did not support using the money for park development, he said it should not be used for school facilities, either. Instead, he supported using it for technology or textbooks directly related to academics. Last Tuesday while making a turn in a cutter near Sacred Heart College while out driving, Rev. Father Phelan was severely injured by the cutter tipping over and the horse running away. His collar bone was dislocated and he was otherwise injured. Father Phelan resides at St. Bernard’s parsonage but is the attendant pastor of the Catholic church at Richwood. His many friends hope his injury will not prove serious. Rev. Father Hennessey, the esteemed pastor of St. Bernard’s Church, is laid up with a sprained ankle since Wednesday afternoon. While visiting the chapel at the church he turned on his foot with the above result. Today we enter upon the first spring month of the year. As we write there seems to be a spring-like look in everything around us. The ice in the river is rapidly dissolving. The frost is nearly out of the ground. Not the vestige of a snow bank is anywhere visible. The atmosphere is so warm that overcoats and shawls have been set aside. Before we are entitled to it we are enjoying a brief vernal season—to be followed, no doubt, by fitful storms and chilling winds. Taken altogether, the past winter has been mild and moderate . . . All the unusually cold days put together, there has not been three weeks of severe weather during the whole three months. Such has been the winter to which we have just bidden adieu and it is well enough to review it for the information of those who do not know what fine seasons we have here in Wisconsin. With the advent of spring the indications of an improvement in business begin to manifest themselves . . . We do not think, however, that the prospects ahead are sufficiently encouraging to warrant very extensive anticipations and it would be well therefore to proceed cautiously and not build too many castles in the air only to see them topple over and fall to the ground with a smash similar to that we witnessed a little over two years ago. Our readers certainly cannot have forgotten the rock upon which we split then and it clearly is in accordance with the plainest dictates of common sense that we should take good care to steer clear of similar disasters hereafter. The attempt then to overdo business, or in slang phrase, “to bore with an auger when we should have used a gimlet,” cost a vast number of mercantile firms and others engaged in the active pursuits of life, to go to the wall, and wrenched from them a good share of not all their property and left them bankrupt upon the great sea of business life without any means of making shore. There is a lesson involved in the financial history of ’57 that we cannot study too closely. Our merchants, particularly, will do well to heed it—and in making their spring purchases, but only such quantities of goods as they can sell readily for cash. Mr. W. Nelson of the Town of Watertown has thus early succeeded in making a lot of maple sugar this year and has presented us with a small quantity. There are about as fine maple groves in this county as can be found anywhere and we hope they will be well improved if the season should be favorable. E. K. Crandall probably can show the largest stock of the best varieties of cigars to be found in this city. Those fond of occasionally indulging in a quiet and contemplative smoke can be furnished with all the means for so pleasant and agreeable a recreation by calling at his store. Using tobacco in any form is a very wrong habit. It is expensive, injurious and decidedly vulgar, but if people will continue to cultivate a perverted taste and defile themselves with smoking or eating a vile and offensive weed, they should get the finest specimens of it they can procure, for even then they will be doing that which is bad enough. If the best is so abominable that cattle instinctively reject it, it is little to the credit of anybody to force a taste for it on himself. If you will puff and chew, by all means do it in as genteel a way as possible, look well to the kinds you use, and go where you will be sure to obtain a splendid article, such as is heaped up in the City Grocery Store. Chow—Chow. Of course all know what that is, only they don’t. The way to find out is to go to E. K. Crandall’s well furnished grocery store and buy a bottle of one of the finest and best relish-giving sauces that we know of or ever had the good luck to come across. While you are there, just look around and see what a large and choice stock of all kinds of groceries are collected there. T. M. Mahon & Co., the successors of McKay, Bros. & Folds, are now opening an extensive and choice stock of fashionable spring goods, just received from New York. Lots number 2 and 3, Block 8, known as the Steck property, on Main St., and most advantageously situated, can now be purchased on the most favorable terms. A commodious dwelling, with all the convenience that a family may need, is attached to the property, and everything about it makes it desirable both as a residence and as real estate. It will be disposed of on such terms as to make it an object to any who wish to buy to obtain it. For particulars inquire of the subscribers. I have removed my Flour, Feed and Provision Store to the large brick building formerly occupied by Messrs. Waldron, Steck & Co., corner of Main and Thirds streets, where I will be happy to welcome all my old and new customers and I hope they will crowd my new establishment as much as they did the old stand, the numerous patronage of which I acknowledge gratefully. In addition to all articles belonging to a well supplied feed and flour store, I will keep always on hand a large stock of cigars from the common to the best qualities . . . and a stock of willow and wooden wares. I will pay always the highest market price for all kinds of grain, vegetables, pork, hides, pelts, furs, wool, paper, rags, etc., in cash. All interest money, which the county of Jefferson may become entitled to and receive in conformity with the provisions of chapter 67 of the General Laws of 1858, entitled “An Act to provide for disposing of the Drainage Fund and the distributing of the interest thereof,” shall be apportioned among the several towns of said county, in proportion to the number of acres of swamp lands in each of such town respectively . . . The monies so received by said towns, shall by them be expended in the drainage of swamp lands within the limits of such town, in such manner as the Board of Supervisors thereof shall direct. Provided, That said Supervisors shall have no interest directly or indirectly in any contract let by them for draining said lands, and provided also that said Supervisors shall not appropriate said funds for any other purpose, except that mentioned in this section. The laws of sleep are among the most beautiful in the economy of nature. Its cessation for a long period often prophesies insanity; its unlimited indulgence benumbs the faculties; unknown in its pure delights to the luxurious idler—beautiful beyond the poet’s dream in childhood, horrible in its nightmare struggles in the gourmand [lover of good food], calm as sculpture, feverish as passion, venerable in the aged, angelic (according to the beautiful Irish superstition) in the smile of the dreaming infant—there is not a phase of humanity it does not reflect. Two great functions of life it secretly fulfills—lessening the flow of the arterial current, and so giving rest to the human machine, and at the same time, renewing the wondrous nervous force whereby we live, endure, enjoy and act; each sensibility is quickened, each organ revived, each muscle strung. Good—As we are about going to press, we learn that a new feature has been added to the celebration of the fourth, not mentioned in the regular programme, as published in another column. There will be thirty-three girls dressed in white and carrying banners representing the thirty-three States of the Union, accompanied by the Goddess of Liberty, all drawn in one carriage and arrayed for the occasion. There will be a celebration of the birthday of American Independence, a day which every lover of liberty and free institutions delights to commemorate. In union there is strength! The citizens of Watertown and vicinity—one and all, irrespective of party, sect or nationality—are cordially invited to be present. Let us have a grand rally around the stars and stripes and rejoice and be glad for the many civil and religious privileges which we enjoy. The day will be ushered in by the ringing of bells and a salute of thirty-three guns by the Governor’s Artillery. At 9 o’clock, A.M., a procession will be formed on Washington Street, west side of the river, under the direction of the Marshal and his aides . . .
Orators of the day—H. Lindeman, S. M. Hewlett. President of the day—Myron B. Williams. Vice President—Thomas R. Mott, Chas. R. Gill, Heber Smith, Henry Bertram, Joseph Lindon, Edward Johnson, Jacob Weber, Charles Jacobi, Jacob Jussen, John Habbeger, Benjamin Nute (Milford), Jonathan Piper (Ixonia), August Fallgetter (Clyman), Ira Rood, (Waterloo), Charles McGraw (Emmet), H. H. Winter (Watertown). Marshal of the Day—H. W. Blanchard. Assistants—F. Fisher, L. J. Kadish, J. P. McDonald, Joseph Lindon, Dr. W. C. Spalding, Amos Baum, Geo. L. Field, Dr. G. Shamberg, Harvey Crandall, C. A. Sprague. The day will be ushered in by the ringing of bells and a salute of thirty-three guns by the Governor’s Artillery. At 9 o’clock, A.M., a procession will be formed on Washington Street, west side of the river, under the direction of the Marshal and his aides, and will march through Washington to Dodge Street, up Dodge to West Main Street, along West Main Street to West Avenue, and along West Avenue and Main Street to the Grove of Theodore Prentiss, Esq., east of the city. 6th—Oration in English by S. M. Hewlett, Esq. The procession will then re-form in the same order as before and march under the direction of the Marshall and his aides through the principal streets to Main Street. At the Grove, at 3 o’clock, P.M., there will be an exhibition of the Fire Companies, Gymnastic exercises, etc., etc., accompanied by music by the Brass Band. In the evening there will be a grand display of Fire Works. By order of the Committee of Arrangements. Those interested in the organization of an association to be known as the Associated Charities in Watertown, met at the public library last Friday evening. The meeting was a decidedly interesting one and it was planned to carry out a work of benevolence in Watertown that most certainly [will] result in much good to the needy in circumstances. Last winter there was organized in Watertown a society under the name "Associated Charities." It is the duty and privilege of this organization to assist any worthy person or family in need of immediate help, and it was so published in the city papers at that time. Anyone knowing of a needy case, or anyone desiring assistance, has but to call upon Miss Ella Wilder, president of this society, and immediate attention will be given. Through the kind generosity of interested citizens, there are sufficient funds and clothes for all who need them. The invitation is free to all but the case must be reported to the proper person, to Miss Ella Wilder, 301 Fifth Street, in order to be relieved speedily. Year after year our city should become more and more attractive as the result of well directed improvements in this respect. For the purpose of shade and adornment our own splendid and wide-spread forests will furnish all the material we need to accomplish an end so desirable. The time for the planting of tree and shrub and flower is at hand. It comes once a year, a welcome anniversary to those who love these beautiful things of fruit and leaf and fragrant bloom. It would be a dreary world if we could not join hands with God in adding to the beauty of the footstool which his goodness has given into our keeping. The sunshine would lose its beauty, did we not feel that our humble toil had helped to give a new leaf or fleck of bloom to its mellow kiss. The rain drops would not so sing the soul into a blissful dream had we not placed a root, a seed, or bulb carefully in the soil. The morning would rebuke us were there no living thing of our care on which the silent dews could hang their glistening jewelry of lingering drops. Eugene Tornow, superintendent of schools, informed the board of education last night that the decision not to crack down on the 1959 Watertown High School homecoming festivities by canceling the dance or game after some students had engaged in damaging vandalism on the night of the homecoming parade, had been reached because school authorities felt only a small percentage of students had been actively involved in the destruction. He said that any cancellation would have punished the innocent along with the guilty and that he does not believe in such a policy. He told the board, however, that some thought is being given to a possible change in the general program next year. Instead of a parade a special activity program may be fixed in its place, such as presentation of sketches, etc., pertaining to homecoming and the homecoming game. This, however, is still just a thought and no decision has been reached nor will one be reached until next year. Jefferson - The Daily Times has learned Lieutenant Michael Besel of the Watertown Police Department has been offered the position of chief of police of the City of Jefferson. Jefferson City Attorney Bruce Freeberg confirmed the selection of the police and fire commission. The appointment has yet to gain the formal approval of the Jefferson City Council. However, the police and fire commission will submit its recommendation of Besel to the council next month. Besel, 1050 Kiewert Street, has been employed by the Watertown Police Department for nearly eight years. He was first appointed to the position of patrolman on Aug. 1, 1977, serving previously as a patrolman for the City of Butler Police Department. The possibility of building a new hospital in Watertown, with aid of federal funds, was discussed at last night's annual meeting of the membership of the Watertown Memorial Hospital Association, Inc., held at the Elks Club. Under the terms of a resolution adopted, it was resolved that the association go on record recommending the building of a new hospital with the aid of funds under the federal Hill-Burton Act, which makes available federal funds to assist communities in erecting hospital buildings. Plans for a campaign to raise $25,000 for a new gymnasium for Northwestern University were made recently in Milwaukee by a special gymnasium committee appointed a year ago by the University Alumni Association, consisting of E. A. Wurster, W. H. J. Kieckhefer and the Rev. C. Gausewitz. The meeting was held in the offices of E. H. Kerrer, Caswell block. It was decided to issue a circular letter to be sent within a few days to each member of the alumni association setting forth the need of a new gymnasium. The present gymnasium building is the only one that is not new among the college’s group. Elsewhere in this issue the Board of Education has issued an invitation to the mayor and city officials and citizens in general to visit the new Lincoln School and inspect the same from 9 a.m. to 9 p.m. on Saturday next. There will be no formal program but the superintendent or teachers and board will be there to give any necessary information to visitors that may be sought. The school is equipped and finished throughout with everything modern and the general arrangement for pupils and teachers has been planned with great care and the result is that Watertown can now boast of having one of the finest modern schoolhouses in the state. It is well worth a visit and it is hoped that every citizen who possibly can will visit the school on Saturday next. Taxpayers are especially welcome so that they may see for themselves if their money has been wisely spent. At a regular meeting of the Board of Education held Wednesday evening it was decided to invite the mayor and all city officials and the citizens of Watertown in general to an informal inspection of the new Lincoln School on Lincoln’s birthday, Saturday, Feb. 12th, beginning at 9 a.m. and continuing till 10 p.m. The contract for publishing the proceedings of the board was awarded to the Watertown Daily Times at 35 cents per folio, it being the only one presented at the meeting. Since then, however, the clerk of the board finds that among his various papers was a bid for 20 cents per folio for doing the work from the Watertown Daily Leader, which had been received on or about January 10, 1910, and mislaid. The probabilities are the letting of the contract will have to be held up awaiting a future action of the board. The salary of the janitor of Lincoln School was raised from $40 to $50 per month, beginning February 1st. Some months since a report was circulated that Kit Carson, the fearless Rocky Mountain guide, was dead. This rumor proved false. Another, and it is hoped to be the final, act in the Harper’s Ferry tragedy, has been enacted and Aaron D. Stevens and Albert Hazlett have been sent to “that bourne from which no traveler returneth.” Although it is known that at least four of the Brown party yet remain unwhipped by justice, still the desire is that no more blood be shed and that the remaining wretches be permitted to wander through the world with the sting of a guilty conscience and scorned by all honest men, rather than our country shall be made the theatre of another season of excitement. The near approach of the day of execution seemed to have little effect on the prisoners and for the past few days they were unusually cheerful—Stevens declaring it was his wish to be free and therefore desired the day for his execution to arrive. Yesterday morning the table was set for the criminals to eat, and seated around were the two men who, in a few hours, were to be launched into eternity, a sister, and a betrothed of one and the brother of the other. A solemn feast and one which was seemingly enjoyed by but two—the condemned. After the breakfast the friends of the criminals bade them a long farewell and took a carriage for Harper’s Ferry, where they remained until the bodies of the executed reached that place. At 11 o’clock the field on which the scaffold was erected was occupied by a large number of spectators. Col. John T. Gibson was in command of the military, which made a magnificent display. SEC. 3. No persons or persons (except Indians not civilized) shall kill or take by any device, means or contrivance whatever, or sell or expose for sale, any deer, buck, doe, or fawn, between the first day of January and the first day of August following, or have in his, her or their possession or custody, any fresh venison or fresh deer skin between the first day of January and the first day of August following, in each and every year; and every person or persons violating the provisions of this section, shall, upon conviction, for each and every deer, buck, doe, or fawn, so killed, taken, or exposed for sale, and for each and every fresh deer skin and fresh piece of venison found in his, her, or their possession suffer the penalty of ten dollars. We have omitted to mention the fact that at the recent election for that purpose, Bernard O’Byrne was chosen Chief Engineer of the Fire Department, and Erasmus W. Hill, Assistant. These gentlemen are admirably qualified for the positions to which they have been called and we are sure that so long as they occupy them the duties of their respective offices will be faithfully discharged. It is highly important that the chief of the Fire Department should be a man with a clear head and good common sense, for upon him devolves the management of affairs at a fire, and if he happens to be one who is at a loss as to what his duties are, the consequences resulting from his ignorance or incapacity might be very serious. The public can congratulate itself upon having so good a man as the Ex-Alderman at the helm and have perfect confidence that he and his worthy assistant will be found adequate to almost any emergency. Selection of three sites - all city-owned - as “ideal locations” for a new Watertown Post Office came to light here yesterday afternoon. The three locations are: City Park, located between South Third and South Fourth Streets, opposite the First Congregational Church and Trinity Lutheran Church in the first ward. The old Webster School site in Western Avenue. The Watertown Recreation Building in Main Street, formerly the armory and before that a city high school. Dr. Spalding—a skillful and experienced physician—has resumed the practice of his profession in this city, as will be seen from his card in this paper. Among the bills which have recently passed the House of Representatives we notice one establishing a mail route from Lake Mills via Milford and Aztalan, to Jefferson. There is no indication as to the number of trips to be made, whether daily, semi-weekly or weekly. Early vegetables begin to make their appearance in our streets. Radishes and lettuce have already been served at the table of the Exchange in this city and the proprietor of the unsurpassed and popular hotel is on the sharp look-out for the next new and good things of the season. The Supreme Court of Wisconsin has proved itself the guardian of law. In the face of a popular pressure, under which a corrupt bench would have given way, it has decided that about five millions [acres?] of farm property which was mortgaged by the owners as security for railroad stock subscriptions, is justly forfeited to the mortgages. Of course, if only a single or a small interest was involved, the question would have never been raised. The sale of property, under foreclosure, is an every day matter, and these mortgages were as valid as any other. But when the farmers of Wisconsin, awaking from their dream, found almost every alternate farm—so to speak—liable to foreclosure and sale for an object whose advantages they had not realized, we need not be surprised that they thought the case oppressive and exceptional and organized a plan of resistance. But it was only exceptional in the greatness of its folly. A convention of delegates, representing several lodges of the State Home League Association, was held in this city last Thursday. Those in attendance were farmers who have given railroad mortgages on their real estate, and their object was to consult together and see what course it will be best to adopt in view of the late decisions of the Supreme Court of this state, which hold these mortgages to be valid. As none but members of the League were admitted, and business was transacted with closed doors, of course nothing is known that was done. As a class, those who were here appeared to be men of intelligence, business and decision, who are resolved to resist the payment of these claims by every legal means in their power. Everybody is aware that these mortgages, which now threaten to be a source of much trouble and embarrassment, never would have been given but for the pledge of the railroad companies which solicited them, that the interest and principle should be paid. These companies having failed to keep their promises, the holders of the mortgages look to the farmers for pay, and so far the courts have sustained the justice of these claims. The end of this contest is not yet. The farmers have the sympathy of the community, but how far that will go to get them out of the scrape remains to be seen. We are requested to say that a resolution was passed by the Convention, thanking the Mayor and Common Council for the use of the Council Room and the citizens for the courtesy and kindness manifested to the members of the League present. While jumping on bobs last week Nic Wiese, aged 7 years, son of Mrs. Emma Wiese, 207 North Second Street, fell and was internally injured. He was taken to St. Mary's Hospital for treatment, and died on Sunday night. His funeral was held Wednesday afternoon from St. Paul's Church, the interment being in Oak Hill Cemetery. Little Nick was a general favorite in the city and was known to most of our people. His sad death is greatly regretted and the family have the sincere sympathy of our people. Base bids on the new Douglas School to be constructed in Center Street are below the estimates. They total $509,674, compared with an estimated total of $577,422 made in advance by Joe Durrant of the architectural firm of Durrant and Bergquist, Dubuque, Ia. Maas Bros., Construction Co. of Watertown entered the lowest base bid for the general contract, $374,925. While the total of the various low base bids on the school runs to $509,674, the high base bids reached the sum of $613,033.21. Watertown Public Library Congratulations to Clifford Lueck, our "go to" man for maintenance inside and outside of the library. He recently celebrated his 34 year of employment with the library. He celebrated his milestone by donating a birdbath to the library's flower garden on Water St.
Last week the sad news reached this city of the death of a former esteemed and well known resident, Isais Joseph Poirier, who died at his home in Omaha, Nebraska, on Monday, January 24, 1910. Deceased for many years resided at 310 Church Street, in the house now occupied by R. W. Rowlands. The Poirier family was one of Watertown's pioneer families, and for years was classed among our prominent residents. Mr. Poirier was a carpenter by trade, and was interested in the erection of many of Watertown's finest buildings up to the time the family left our city. He and his family were worthy members of St. Bernard's congregation and especially to the members of that church was his death learned of with sincere regret. Mr. Poirier was the soul of honor, a genial and pleasant man to meet at all times and a neighbor whom everybody prized. The editor knew him intimately for nearly half a century, and can truthfully say that a finer character we have never met—always glad of his neighbor's good luck and ever ready to extend aid and encouragement to those in distress. It can well and truly be said of him that he did to others as he would be done by, and he most certainly has received that reward which God has promised the righteous. Away back 30 years ago, when the editor first launched in business, Mr. Poirier was one of The Gazette's first patrons, and he was our friend and well wisher until he died, hence we felt his loss as that of a good and dear friend, and in common with his hosts of Watertown friends, offer up a silent prayer for his departed soul. Of his life and death, his daughter writes us the following very interesting letter . . .
Father was born August 8th, 1823, in Longneil, near Montreal, Canada, and came direct to Watertown in August, 1845, where he resided until 1894, when he moved to Omaha, remaining there until July 1895, when he returned to Watertown, and resided there till March 25th, 1902, when he again removed to Omaha, in which city he has ever since resided. He married Miss Gelestine Dudley, April 4, 1853, and he with his children in Omaha celebrated her 75th birthday anniversary the 17th inst. Local Hispanic community will celebrate Cinco de Mayo during Watertown's inaugural Cinco de Mayo celebration on Saturday. The all-day affair features a parade, a soccer tournament, music, food and dancing. The celebration begins at 8:45 a.m. with the opening ceremony for the soccer tournament, to be held at Grinwald Park. Watertown Mayor Ron Krueger and police Chief Timothy Roets will be on hand for the first kicking of the ball, which is akin to throwing out the first pitch at a baseball game. The parade featuring 20 entries starts at 11 a.m. The next six hours at Riverside Park will be filled with music, concessions, games and more. Hus Apartments, an apartment complex for the elderly which is part of Marquardt Memorial Manor, 1020 Hill Street, will be expanded. The board of directors of Marquardt and of Moravian Homes has decided to expand the apartment complex as soon as many of the proposed units are sold. Marquardt currently has 22 apartments in the Hus complex and all are filled. Several persons are on a mailing list for the apartments. When sufficient persons have agreed to purchase apartments in the new complex, construction will get under way. As your city is much interested in the affairs of the West, I will give you a glimpses of our present prospects. We are all congratulating ourselves that we are passing out of the revulsion of 1857. All nature encourages us in this belief. If there be a doubting one, let him leave his work and take the iron horse for a birdseye view of our prairie lands. Never since the state had an existence has mother earth bore in her arms so rich an abundance. Everything is joyfully changed. The farmer meets you with a happy “good day” and points to his waving fields for congratulation. The merchants are brushing up their old accounts to meet the issue. The laboring man has exchanged his five shillings per day for ten, and twelve, and even two dollars. The great query now is: How will it be possible for the farmers to harvest their fields? The towering rye that has so long looked down upon his brothers and sisters is now bending her body to the sickle and cradle. On Monday next those long golden heads of winter wheat will come down from their exalted stand to prepare the way for the spring wheat, which is making ready to be gathered into the granaries. When this shall all be done, what a golden sight for your Wall Street sharpers! You readily pay a dollar to see the Great Eastern, but that only fills the eye. It is estimated there will be double the amount of grain cut in this state than there was last year. I cannot find a farmer who does not claim thirty bushels to the acre, provided the weather continues favorable. I have seen many fields that bid fair forty bushels to the acre. Our railroad companies are making extra cars to carry off the great surplus, which, running night and day, cannot drain the state before another harvest. Perhaps there is no railroad in the west running through a richer and better improved country than the Chicago and Northwestern. Everyone knows, that is at all acquainted with the West, that the Rock River valley is the garden of Wisconsin. This road passes through the whole length of the valley, giving the farmers a market for everything they can produce at home. This railroad, during the last year, has brought down from the north millions of feet of lumber, which enables the farmer to build houses and fences for less than one half of his previous expense. The farm mortgagers held a private meeting in this city yesterday. The delegates, about fifty in number, were as substantial and fine looking men as ever went into a convention to nominate a president of the United States. I do not know the result of the meeting, but judging from what I heard and saw outside, they seemed resolved not to submit to the frauds quietly. If the farmers along the La Crosse railroad are obliged to pay those mortgages, I fear the road will meet with many impediments, unless the company walk up and offer to pay those they have wronged. —Correspondent of the New York World. There is one old song that does not appear to be making much of a hit in the Watertown Exchange. The title of it is "No Wedding Bells for Me." Manager Newbouer [Neubauer] showed his total disregard of the sentiment of the song by getting married. Later on his troubleman, Mr. Webster, joined the "Take Your Money Home to Your Wife" club. Then one or two of the toll operators decided they could help some other fellow out who believed two could live as cheaply as one, and on April 27, William Laundre, troubleman, took unto himself a bride in the person of Miss Loretta Zoelle of Watertown. Will says he didn't think so much about getting married, but he heard so much talk from Newbouer and Webster about "their happy homes" that he thought he would try it himself, besides he said he loved the girl and had two quarts of onions planted, and a lot of other garden sass [all the vegetables in a garden] down. Arriving at the tower in the cemetery, the head of the column halted, open order, and presented arms while the Grand Army Post passed through to music of fife and drum to the grave of the late Comrade O. D. Pease, where services according to the G.A.R. ritual were held as follows . . . The cadets and band of the Northwestern University marched to Juneau last Saturday morning and remained there till Sunday. While at Juneau the cadets gave a sham battle at the fairgrounds, Saturday afternoon, and the band gave a concert in the city park in the evening. Only two bids were received last week by the public library board for furnishing coal for the ensuing year, one from John W. Burns for $8 per ton, and one from F. W. Lehmann for $7.95 per ton. The contract was awarded to the latter. The importance of having proper water in which to bathe is second only to having pure water to drink. Never use hard water, if you value your peace of mind, as it is sure to dry your pretty skin, and make it look like a piece of parchment. Rain water is, of course, the ideal water to bathe in, but unfortunately it is not always available, so the next best thing is to use something which will soften the water. Borax and ammonia are used commonly to soften water, but I prefer to buy the ready-prepared mixtures put up by competent chemists. When you stop to think that the body has between two and three hundred thousand pores and is kept busy exuding poisonous matter, you can see how disastrous it would be to one's general health should any of them become clogged and unable to perform their duty. When a warm bath has been taken at night, a plunge in tepid water next morning is all that is necessary. This morning dip in tepid water, aromatized or softened with tincture of benzoin or some fragrant toilet water, stimulates the skin and rouses dormant faculties. Try it tomorrow morning and see if you don't go down to the breakfast table feeling as bright as a lark. “The girl who has learned to correlate her studies in science, art, literature and language to the issues in her own life through applied knowledge in household economics, not only will have a basis on which to build for any work—good health and a clear brain—but will have a foundation for the profession of home-making which, in the end, is woman's highest calling," said Prof. A. L. Marlatt, head of the University of Wisconsin home economics course, before the Federation of Women's Clubs convention at Waterloo. “The girl who has studied the yeast plant, analyzed the flower, studied the cooking range, applied her chemistry to food analysis, her history to the evolution of industry and home standards, her bookkeeping to problems of expenditure for a family of limited income, is prepared to do her work as a home-maker most efficiently and economically. This means that all should receive manual and vocational training in the grades, and that high school courses in applied science must be credited in preparation for the colleges and normal schools, so that each pupil will have a right to practical knowledge, whether or not her desire or aim leads to higher institutions before entering on life’s labors." Spring Bank, the home of the Western Catholic Chautauqua on Oconomowoc Lake, will open for the season Wednesday, June 29. A formal opening program is being arranged. The directors will invite Archbishop Messner for the opening week, but as the Archbishop expects to leave for Europe soon, it is uncertain whether he will be present at the opening of the school. Visitors to the grounds will find many improvements. An experienced gardener was engaged early in the spring and the entire grounds have been overhauled. Nineteen acres of the Spring Bank property have been cultivated. The boys camp, which was such a decided success last season, will again be conducted by the Spring Bank executive committee and Joseph F. McMahon of St. Louis, Mo., will have charge of the camp. Mr. McMahon is an athlete of St. Louis University. Watertown's gain in population the past decade has been 1,984 according to census figures for 1960. The total population at present is 14,401, compared with 12,417 in 1950. The 1960 census was completed some time ago and figures for Watertown were issued this morning at Madison. The city's Jefferson County wards have a population of 10,450 and the Dodge County wards a total of 3,951. 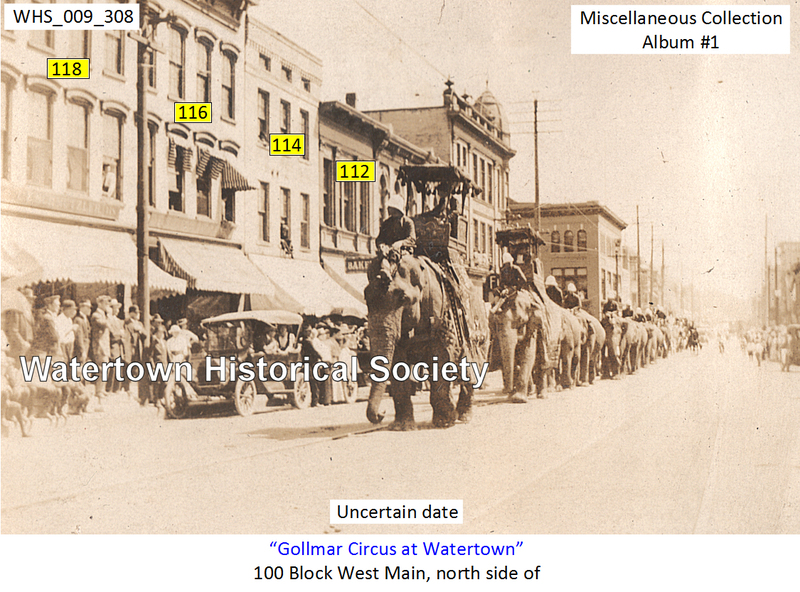 In 1940 the population of Watertown was 11,301, according to census figures issued at the close of the 1940 enumeration and in 1930 the official figure was 10,613. Watertown's official population, as shown in the 1960 census, is 13,953, according to a report issued today by the U.S. Census Bureau. Census population date is April 1, 1960. In 1950 Watertown had a population of 12,417. The report shows that the population of the Jefferson County portion of the city is 9,975 and of the Dodge County wards 3,968. The total population of Dodge County is 63,170. Robert P. White, 1314 South Third Street, an insurance man, yesterday was elected part-time mayor of Watertown and is due to take over his office at noon on April 18, the same day on which the new 14-member common council holds its organization meeting at 7:30 p.m. White’s victory was unprecedented in the political annals of the city, since he was a write-in candidate. He defeated the two regular candidates who were nominated in the city’s first primary election held on March 7 — A. E. Bentzin and George Shephard. Norma L. White, 80, of Watertown, passed away unexpectedly on Wednesday, May 5, 2010. Funeral services will be held on Monday at 11 a.m. at First Congregational United Church of Christ with Pastor John Kennedy officiating. Burial will be in Oak Hill Cemetery. Family and friends may call at the church on Monday from 9:30 to 11 a.m. The Schmutzler-Vick Funeral Home and Cremation Service is serving the family. Norma L. Hauser was born on March 20, 1930, in Jefferson, daughter of Norman and Carlan (Carlson) Hauser. On July 19, 1948, she married Robert P. White in Madison and he preceded her in death on June 19, 2001. She was a member of First Congregational United Church of Christ and a former member of Watertown Country Club. Norma's husband, Robert, was a former mayor of Water-town. She was an avid bridge player and sports fan. Survivors include her children, Linda (Ron) Thorson of Watertown and Dale (Donna) White of Manitowish Waters; two grandchildren, Kam (T. J.) Aures and Tara (Andrew) Webb; three great-grandchildren, Cayden, Max and Olivia; a sister, Karen (LaVern) Latsch of Sheboygan Falls; a brother, Jim Hauser of Waterloo; other relatives and friends. The Watertown Plan Commission on Monday approved a plan by Maranatha Baptist Bible College & Academy to build a preschool and day-care center on West Main Street. Plans can move forward for Maranatha, 745 W. Main St., which will construct the 5,000-square-foot center across the street at 828-832 W. Main St. A Maranatha-owned house is located at that site and will be razed. The center is expected to open in January 2001. Maranatha plans to serve more than 70 children. The college will focus on filling seats in the preschool prior to admitting children into the day-care service. With the opening of warm weather last Sunday hundreds of pleasure seekers flocked to the beach to enjoy the many new attractions put on at this popular amusement resort. The day was a busy one at the beach. The selections rendered by Cull's popular orchestra were greatly appreciated and the vocal numbers by Mrs. DeWitte, the popular contra-alto, were the hit of the day. Mrs. DeWitte has made a great hit with the public at this resort and her selections were applauded continuously. In the afternoon a one mile race was put on in the roller rink and proved very interesting. The Maloney boys and several other speeders from Milwaukee were entered and the race was a good one. Arthur Radke, one of the entries, fell but recovered himself and put up a good race. Arthur Maloney won the race with Chas. Maloney a close second and Radke third. Next Sunday, June 19th, one of the best attractions in the middle west will begin its run at the beach, The Empire Quintette. They will render vocal and instrumental numbers every afternoon and evening during the season and are sure to make a hit with the crowd. Mrs. DeWitte will also render her very popular numbers on Sunday afternoon and evening. Cull's orchestra will give concerts. In the afternoon a one mile pursuit handicap race will be put on in the roller rink and many entries have been secured from Milwaukee, Waukesha and other fast skaters. This should prove one of the most interesting races of the season. Hundreds of auto parties enjoyed the day at the beach and in the future a regular Table de Hote dinner will be served in the dining room. Many picnics have been booked at the beach, and it will be the mecca for pleasure seekers this season. There will be roller skating on Monday and Thursday evenings during [the] season. “The Merchant of Venice Up To Date" is the title of the Senior class play, which will be given by members of the senior class at Turner Opera House on the evening of Friday, June 17. There are fifteen members in the cast and they are being coached by the faculty of the High School. The lines of the play are full of wit and humor and it abounds in many ludicrous situations. It is particularly adapted for high school students, being a portrayal in part of high school life. The members of the cast are enthusiastic and each one executes his and her parts well. The members are as follows: Charles King, Milton Heismann, Jack Stapleton, Erwin Henning, Henry Krause, August Schuenke, John Salick, Max Terwedo, Esther Humphrey, Martha Maas, Helen Adsit, Florence Foley, Delia Wilkowski, and Helen Schatz. In addition to the play twenty five girls are preparing a very pretty drill which will be put on between acts, and the senior boys quartette will entertain with songs. The price of admission will be twenty-five and thirty-five cents, the latter being reserved seats. Tickets may be purchased from any member of the senior class and the thirty-five cent tickets may be exchanged for reserved seat tickets at the Schempf Drug Co. store on Wednesday morning, June 15. The Watertown High School senior class play at Turner opera house on Friday evening of last week was greeted by a very large audience, and those taking part in the cast in "The Merchant of Venice Up to Date," certainly proved themselves most excellent actors. The piece is full of laughable situations and witticisms, and the audience was kept in good humor from the rise to the fall of the curtain. The play is adopted from Shakespeare's work to fit high school requirements in a most admirable manner and the young ladies and gentlemen all did well in it. Special mention must be made of Portia, a rich heiress, the part being taken by Miss Esther Humphrey. The manner in which she disposed of suitors for her heart and hand, especially when [with] interesting local hits, produced great applause and merriment. The plot and cast of characters were published in full last week. The class colors and pennants, black and gold, were used very effectively in decorating the opera house, and the Weber-Stuebe Orchestra furnished the music. Henry O. Winogrond last night was elected president of the board of education to succeed A. E. Bentzin who completed his term as a member of the board and as president on May 1. Mr. Winogrond was nominated for the office at the annual reorganization meeting of the board which followed a dinner of the high school cafeteria attended by members of the city council and the board. Nominated for the presidency were Winogrond, Fred Mallach and George Wolff. On the third and final ballot Mr. Winogrond was elected 9 to 5 over Mallach. Delwin Hintzmann was elected vice president over Mallach, 8 to 6. Young Watertown couples were short on sleep this weekend as they attended a variety of activities in connection with the annual Watertown Senior High School prom. Activities traditionally run into the wee hours and begin again on Sunday with casual outdoor get-togethers such as picnics or a trip to Great America. Theme of this year's prom, held at the senior high school gymnasium, was “Midnight in Paris.” Couples enjoyed the cafe setting reminiscent of scenes in the French city. The local soft rock group, ‘Ninety-nine,” provided musical entertainment. Grand prize winners were Jeff Britts, $100 gift certificate for Kern's Men's Store donated by the Elks Lodge, and Melissa Arpin, $100 gift certificate for Kline's, also donated by the Elks Lodge. Dr. Moe Chin of Watertown has started a new practice at a new office located in the Medical Office Building West adjacent to Watertown Memorial Hospital. Family Medical Care Associates is located at 123 Hospital Drive, Suite 2004. Chin departed from his group practice at Medical Associates of Watertown, located at 1507 Doctors Court, where he had practiced for 20 years with Drs. Robert Baldwin, Michael Grajewski and Arthur Marquis. He and his family had moved to Watertown in 1980 following his family practice residency in Milwaukee at St. Michael Hospital. Because of an expected increase in the amount of airplane traffic and the recent sophistication of aircraft using Watertown's municipal airport, the city should extend both runways and construct a new administration building before 1992, according to a Madison engineering firm. Donohue and Associates have recommended the renovations as part of a five-year airport improvement program beginning in 1986 and extending through 1991. An executive who, 20 years ago, was satisfied to fly in a single engine airplane at 120 mph, now uses a light twin engine plane with a cruise speed of 250 mph, he said. Watertown alderman Walter Nuernberg has always believed the decisions to expand the Watertown Municipal Airport and to modify the city traffic plan should be made by the people and not by the common council. On Tuesday, the common council will consider doing just that as Nuernberg will submit resolutions asking for November 1985 referendums on the airport expansion and the city traffic plan. In the past, Nuernberg has expressed his opposition to both proposals. As to the airport expansion, he has stated such a facility should be centrally located in Jefferson County and operated through county taxes. The Watertown airport, he has said, benefits more residents outside of Watertown than within. The afternoon of Wednesday, June 8, the Woman's Guild of St. Paul's Episcopal Church met at the Chadwick home, 519 West Street. It was purely a social gathering, and as Wednesday proved to be a perfect June day, filled with warmth and brightness and beauty—every one preferred to be on the porch or the lawn, rather than in the house where we have been so long imprisoned on account of cold, stormy weather. Croquet was indulged in by some, while others spent the time in conversation. At five o'clock a delicious luncheon was served upon the lawn on small tables arranged in a semi-circle with one at the opening of the circle, at which was seated the Rev. and Mrs. R. M. Laurenson, Mrs. Gallup and Miss Harger. This meeting was in the nature of a farewell to the president of the guild, Miss Harger, who expects to sail for Europe the eighteenth of June to be away for three months, possibly a longer time. When all were seated Mr. Laurenson, in the name of the guild, wished Miss Harger a safe voyage, a pleasant trip while abroad and then we will certainly give her a glad welcome home. The Rev. Delbert D. Klink, son of Mr. and Mrs. Paul Klink, 101 South Church Street, will be ordained by the Rt. Rev. William P. O'Connor, bishop of Madison, at a ceremony to be held May 28 in St. Raphael's Cathedral, Madison. Father Klink will offer his first solemn high mass at St. Bernard's Catholic Church on Memorial Day, May 30. A reception will be held from 4 to 7 p.m. at the Legion Green Bowl. Father Klink is a graduate of St. Bernard's Grade School. He took his high school studies and his first two years of college at St. Lawrence Seminary, Mount Calvary. He completed his college and theological studies at St. Francis Major Seminary, Milwaukee, where he received a bachelor of arts degree. Last Tuesday evening, shortly after 7 o'clock, while playing near the dam at the foot of Lafayette Street, Gretchen Karge, aged 6 years, daughter of Mrs. Emilie Karge, 318 Water Street, fell into the river and was nearly drowned. Gerhard Burandt, who resides at 206 Water Street, rescued her after she was in the water a short time. He proved a hero and is entitled to a Carnegie medal. For a time it was thought the little girl would die, but she is all right again. There was a large and appreciative audience at the High School last Friday evening to listen to the debate by the Webster and Forum debating societies of the Watertown High School, the question under debate being: "Resolved, That our present immigration laws be amended so as to debar all immigrants over 16 years of age and unable to read and write as is required in the third grade of our American elementary schools, providing that this amendment shall not debar dependents upon qualified immigrants." The affirmative was taken by Jack Stapleton, Peter Brooks and Charles King; the negative was upheld by Arthur Remmel, Clement Brennecke and John Salick. Chas. A. Kading, Chas. Skinner and James W. Moore officiated as judges. The debate was a very interesting one, and each side argued well and brought out many good points in support of what they advocated. The Forum, or the negative side, was awarded the honors by the judges, but so evenly balanced were the young men in their efforts that the verdict was not a unanimous one, one of the judges deciding in favor of the affirmative, the other two in favor of the negative. The club is organized for social purposes only. The next meeting of the club will be held on March 22nd. The boys' declamatory contest of the High School was held in the Congregational Church in this city on Wednesday evening and a good sized audience was in attendance. The following program was rendered . . .
All contestants were good and deserving of much praise for their efforts. The delivery in each case, together with the freedom and ease which each speaker exhibited, showed careful preparation and an aptness which should be developed more in this direction. Perhaps one of the greatest advantages a young man can possess in this world of competition is the ability to say something that is worthwhile and to make himself understood. First place in the contest was awarded to Charles King, and second place to Peter Brooks. The winners will represent the High School in the county contest which will be held in Fort Atkinson in April. The judges were Mayor Arthur Mulberger, Edward F. Wieman and Otto C. Hahn. There was a large audience at the M. E. Church on Friday evening of last week to listen to the Watertown High School girls' declamatory contest, at which Supt. W. P. Roseman officiated as chairman, and Miss Bessie M. Ericson of Columbus, Miss Alice M. Currie of Waterloo, Myron E. Keats of Oconomowoc and E. Berg of the Northwestern University acted as judges. The senior, junior, sophomore and freshman classes were all represented in the contest, and all did exceedingly well and it was very difficult for the judges to decide who were entitled to first and second place . . . Following was the program in full . . . The last of a series of High School inter-class basketball games will be played at the Turner Opera House on Friday evening of this week to determine the championship of the local High School. This event has been substituted this year for the out-of-town games and will mark the close of the local season. The juniors will line up against the seniors and the freshmen against the sophomores in Friday evening’s events and very close scores are expected. Some special features of the entertainment have been arranged for the intermission between the halves. The inter-county teachers’ institute for Watertown teachers and teachers of Jefferson and Dodge counties, held in the High School building in this city was a grand success . . . Prof. B. E. McCormick of the Watertown High School gave a lecture on Wisconsin birds. Stanley, "The Great," Will Demonstrate His Power in City—Stanley, "The Great," the peer of all hypnotists, will be the attraction at the Turner next Sunday with matinee at 2:30 o’clock. On Saturday at 12:45 the hypnotist will place a lady in a hypnotic sleep in the display window of Keck & Co.'s store on Main Street, where she will remain until 2 p.m. Sunday, when she will be taken to the Turner Opera House where she will be revived on stage. The hypnotist will also drive blindfolded in a carnage and locate hidden objects and the like on Saturday afternoon at 2 o'clock. Rain is principally composed of water, but it should not be confused with mining stock. Rain always comes on Sunday afternoons and wash days. Wash day may be changed to any day in the week, systematically or indiscriminately, but the rain will come. Sunday afternoon, however, cannot be changed to any other afternoon. The rain will hold off until you are ready to go driving, and then the word will be passed along the mysterious currents of the air, and a double order of cirrus and cumulus will be hurried in from the west. Also in the morning, when you leave home and carry your umbrella and raincoat, the rain will go away and sulk. But if you take heart of the fair sky and leave the umbrella and other trimmings then the rain will wait until you leave the office and then get you. Incidentally it will tuck a few grip and rheumatism germs into your system. Rain is good for the crops, but why it takes you for a crop is hard to understand. Rain never brought fame to any one except Noah. Probably on the day the flood began he watched the last picnic party drive out of town in a bus, shouting sarcastic things at him through the dust. There are several varieties of rain, but the one most popular with the weather bureau is called "Probably." These examinations will be held under the provisions of Chap. 378, Laws of 1909, known as the New Certificate Law . . .
THIRD GRADE. For a third grade certificate, applicants must pass examination in Orthoepy, Spelling, Reading, Penmanship, Arithmetic, Elementary Composition and Grammar, Geography, U. S. History, Civil Government of the U. S. and the State of Wisconsin, Physiology and Hygiene, School Management, Manual and Agriculture. In addition to passing examinations in the foregoing branches, applicants shall have attended a professional school for teachers for at least six weeks and shall have received in such schools, standings in school management, and in the methods of teaching Reading and Language, Arithmetic and Geography . . .
Two men, one young and the other grizzled with middle age, were walking beside the railroad track in a Boston suburb on their way to the nearest station. The younger stepped between the rails. "Better walk here," he advised. "It's better walking." “No," replied the older man. "I never walk on the railroad track." "But we're facing the direction from which trains come," persisted the other. "It's safe." "My son," said the middle aged man, "I was a railroad engineer for more than twenty years, and if I learned one thing from the poor chaps I've seen picked up it was not to walk on a railroad track when there is a possibility of walking anywhere else. If the law stopped all trains running on Sunday and this was Sunday I wouldn't do it. It's the fellow that’s sure he's taking all the precautions that gets killed." Here hardly a day passes that we do not read of men killed while making a thoroughfare of the railroad right of way. And usually it is noted that they were on the "safe" side of the track, became confused by the approach of two trains and stepped in front of one or the other. Occasionally something is to be gained in distance by taking to the railroad instead of the public highway. The man who feels that he must do this will be wise always to walk beside the track and never on it. It may not be quite as good walking, but he is not likely to suffer regrets in a hospital.—Boston Traveler. It is understood that the Gollmar Brothers Greatest of American Shows this year have undergone a general renovation in each and every one of the many departments, and from the monster exhibition tents to the cook tent, everything is new, clean and up-to-date, the only thing that has been retained being the trade mark and name "Gollmar Brothers" which means everything first-class. Long trains of cars transport these immense shows on tour this season, and the biggest combination of circus and menagerie attractions are presented, to say nothing of the numerous auxiliary novelties offered in conjunction with this immense circus. The Gollmar Brothers Circus will be seen in this city, Friday, August 5. One of the most annoying things to the animal keeper with a big menagerie is the surprising ignorance and indifference of many people toward the rare and costly beasts and birds of the forest. There are not half a dozen real zoological gardens in this entire country, and hence about the only opportunity a majority of the people of this country have to study natural history from real life is upon the occasional visit of some of the big circuses. Although wild beasts are vanishing before the advance of civilization, and the increase of the earth's population, and though it is certain that all wild beasts will become extinct in time, yet a larger portion of the public fails to inspect the menageries that are brought to their doors. The Gollmar Brothers paid $6,500 for a giant hippopotamus. It is a magnificent specimen of the river horse of the River Nile, and a most interesting source of study for the student of nature. Very few people can tell whether a hippopotamus is web footed or whether it has teeth. The average person does not know that it is an animal allied to the elephant; that it has a thick and heavy body, short legs, terminated by four toes; a short tail, skin without hair, except at the extremity of its tail, and that it feeds on herbage exclusively. "Big Lotus," the "hip" with the Gollmar Shows, knows his value, and he also knows that the public is not as well acquainted with him as it pretends to be. When he first joined the circus he seemed annoyed because the cheap, sickly, treacherous little monkey received more attention than he did; but he is over that now. Although he is not paid the homage and attention that is his due, this giant beast does not show his disappointment, but lies contentedly in the mammoth tank of water in the bottom of his cage, and in parade he will occasionally make goo-goo eyes at the crowds or open his great mouth . . .
Wisconsin became a major player in the circus world. Not only did the world-famous Ringling Brothers get their start in Baraboo in 1875, they helped their cousins, the Gollmar Brothers, create their own circus there in 1891. Last Wednesday evening [May 20] , about 6:30 o’clock, a gang of drunken traps engaged in an all around free fight at Minnesota Junction, during which several shots were exchanged. One of the tramps was shot three times, twice in the head and once in the stomach. Sheriff Bintz was telephoned for and hastened to the seat of war. One or two other officers followed him and six of the tramps were arrested, including the wounded man. Five of the tramps are locked up in the county jail and the wounded man was taken to the Poor House. He refuses to talk, but it is believed that his name is Conway. He recovery is doubtful. It appears that he was one of a gang of eight or ten tramps who are following Gollmar Bros. circus. They were seen in Columbus and afterwards in Beaver Dam. Wednesday they came to Minnesota Junction and purchased a keg of beer which they carried to the outskirts of the village. While drinking, a tramp not of their gang, came down the railroad track from the north and endeavored to join them. To this they objected and he was driven away. One of the gang followed him too far, when the stranger turned upon him and shot him as above described. The man who did the shooting escaped, and as it was almost dark when the officers arrived, they failed to find him. He is being pursued. The 38th annual commencement of Sacred Heart College was held at Corby Hall Tuesday evening, June 14th. The program was not a long one but was very happily chosen and well rendered, being thoroughly enjoyed by all. Albert Bean, Chicago, Ill, delivered "The Dandy Fifth" in exceptionally good style and to use an expressive if not an elegant phrase, made a "hit," while Leslie Kearney of Los Angeles, Cal., with "Chiquita" was a recipient of deserved applause. "Le Trot du Cavalier,” a piano selection by John Re, Chicago, Ill., was a treat for all admirers of good music. The commencement address was delivered by Rev. Chas. McBride, Oconomowoc, Wis. We were inclined to doubt when in becoming modesty he declared that he was not to deliver an address, but to make a talk. Before he was through with his exordium we had decided that it was not an address. Neither was it a talk. It was an oration, an oration resplendent with figures of imagery and punctuated with jewels of thought. Father McBride had something to say and he said it in such a way that each one present must have felt that this old world is good when we only make it so, and that the best thing for us all is life—life for time and life for eternity. Commercial diplomas were conferred upon John Ed. Lynch, Chicago, III. ; Patrick McGuire, Doylestown, Wis.; Herbert J. Jungman, Watertown; Walter J. Ruesch, Watertown. High School diplomas were conferred upon Fridolin J. Ruesch, Watertown; John J. Weiher, Jr., Milwaukee. Among the medal winners were several Watertown boys. Commercial medal, Walter Ruesch; English essay, Fridolin Ruesch; Christian Doctrine medals: Walter Ruesch, Hubert Kreuziger, Henry Brusenbach; Typewriting, Herbert Jungman. At 12:30 o'clock Sunday morning the fire department was called to the Brandt-Dent factory in First Street, and by the prompt work of the fire department, the building was damaged to the extent of only about $200. There was no damage to stock. The origin of the fire is a mystery, as there was no fire of any kind in the building after 12 o'clock noon on Saturday. On Tuesday chief of the fire department, John Glaser, received a check for $25 from the Brandt-Dent Co. for the fire department in appreciation of the good work done by the department at the fire, and the boys wish to extend their thanks for the same. Scholarships and awards valued at over $160,000 were presented to members of the class of 1998 at a special program Sunday afternoon in the auditorium of Watertown High School. In addition, for the first time ever, school officials presented a listing of students who received scholarships and awards through private companies and individual colleges. These awards were valued at over $170,000, bringing the total financial support for this year’s Watertown High School graduates to over $330,000. Heading the list of awards presented at the program on Sunday were four students who were awarded the Joseph E. Davies scholarship, each valued at $11,400. The four recipients are Melanie Welles, Trish Doman, Sharon Higgins and Leslie Yager. Mr. James W. Moore, President Board of Education, Watertown, Wis.
Dear Sir:—I am in receipt of the report of Inspector Terry of his visit to your High School on June 7. While the visit was too short and the year too near a close to make a thorough inspection, yet Mr. Terry was well pleased with what he saw and he considers that you have an excellent school and one which ranks well with other leading high schools in the state. Such comments in regard to the individual work and general matters relating to the school were fully discussed with Supt. Roseman and in the general faculty meeting held after school and they need not be repeated here. The school is well equipped and the building in excellent condition in respect to cleanliness, freedom from defacements, and in general sanitary matters. The continued and steady growth of the school speaks well for the educational sentiment of your city. I am pleased to know that you added an assistant this year to meet the increase in enrollment. The indications are that still another will be needed very soon, quite likely next year. Should you decide, however, to introduce a full course in domestic science, as I am glad to know you are thinking of doing, the teacher of this will probably be all of the addition needed to the force for another year at least. I sincerely hope that you will see your way clear to include this course in the work in manual training and by so doing place your school on the list to receive the special state aid. I assure you of my satisfaction in receiving so favorable a report. Madison, Wis., June 10, 1910. Miss Anna Skinner of Princeton, Ill., a student at the library school at Madison, began a month’s practice work at the public library in this city on last Friday. While in the city she is the guest of Mrs. Lew Parks. The gentlemen’s room at this public library is open at the noon hour for those who wish to drop in and pass a few moments in reading [and] who cannot visit it at any other time. 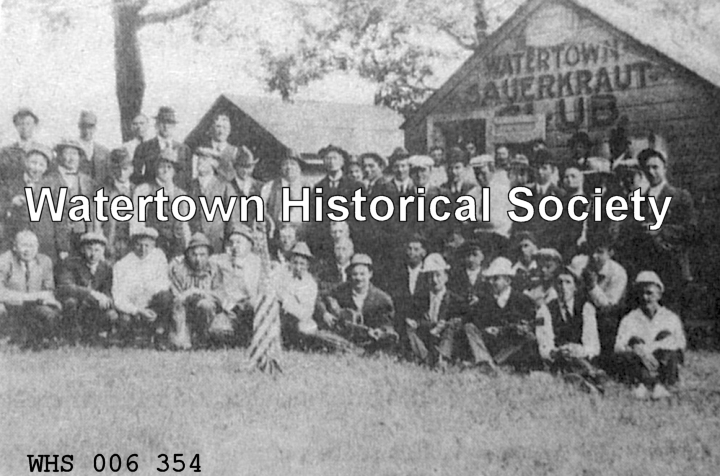 The twenty-second annual reunion of the Watertown High School was held last Monday evening at Turner Opera House and it was one of the most enjoyable and interesting in the history of the society. Good cheer and mirth prevailed throughout the program and a happier crowd of people never assembled here. Dr. T. F. Shinnick made a capital toastmaster and every number on the program was admirably well given. The menu furnished by the Clover Club of the Congregational Church was a most excellent one and [served] as a reminder of the good things to be expected, as each guest was seated at the table, the first thing the eye caught was the motto neatly printed on the menu cards: "A good dinner sharpens the wit while it softens the heart” and “Frame your mind to mirth and merriment which has a thousand charms and lengthens life." The following members of the Junior class assisted at the tables . . .